1937 Edgar Høgfeldt, Oslo sH21 "N.N." 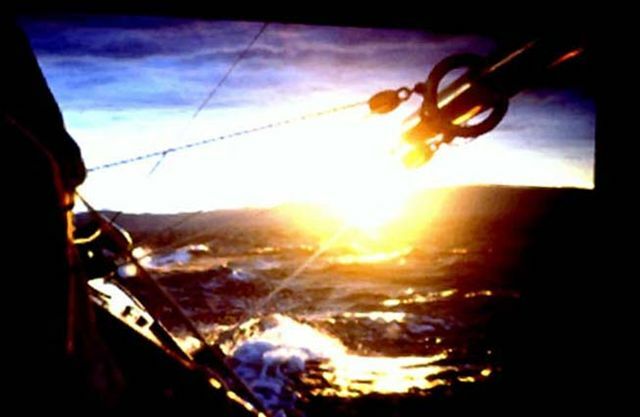 sH21 is the first racing sail no given to any yacht commissioned to the Scandinavian S-rule of 1917. She was designed by the Norwegian Engineer H.J.Svenningsen who likely involved himself with Johan Anker in modifying the international R-rule of 1907 to what became the S-rule of 1917. H.J.Svenningsen also designed the last 8mS yacht to be constructed in 1919, ref sH36 Data sheet. sH21 is among the few 8mS yachts that was not converted to the new international R-rule of 1919. Seilas yachting magazine 1918 page 117 has listed “Bobo II” as one of four 8mS contenders in KNS regatta June 9th, 1918 (no prize). In the 8mR (1907) Class participated 7 yachts. In summary of KNS regattas 1919 “Bobo II” is listed as one of eleven contenders in the 8mS Class, with 3 starts out of 8 races, and with one prize (IV), ref. Seilas 1919 page 268. 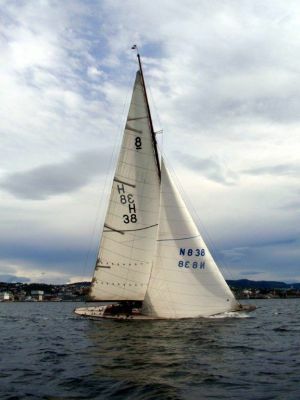 She is not recorded in Seilas as racing in KNS regattas 1920 – 1922. Seilas 1926, 1927, 1928, reports 8mS “Bobo II” with homeport Dronningen, Oslo, owner J.R.Strand. KNS yacht register 1919 Class 1 (S-1917 rule) has listed sH21 “Bobo II” designed by Svenningsen and constructed at Herberns Baatbyggeri in 1918 for owner N.M.Nielsen, Kristiania (Oslo). Technical data on overall length, sail area and rating not given. KNS yacht register 1920 Class 1 (S-1917-rule) has sH21 “Bobo II” with owner N. M. Nielsen. Technical data given. KNS yacht register 1921-22 Class 2 (S-1917-rule) has sH21 “Bobo II” with owner N. M. Nielsen. Floating waterline 8.39 m.
KNS yacht register 1923-24 has not listed sH21. KNS yacht register 1925-26 Class 2 (S-1917 and R-1907 rules) has listed sH21 “Bobo II" with owner J. R. Strand, Oslo. KNS yacht registers 1929- 1936 Class 2 (S-1917 and R-1907 rules) has not listed sH21. KNS yacht register 1937-38 Class 2 (8s.m. and 8s.l. and 8mCruisers) has listed sH21 with no name (N.N.) and owner Edgar Högfeldt, Oslo.